In terms of importance, there are very few Tolkien books which could compare with this proof. 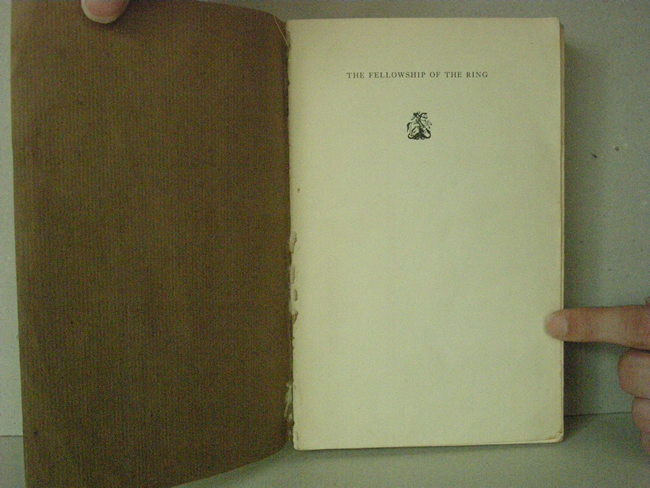 The Fellowship of the Ring by J.R.R. Tolkien proof copy London: George Allen & Unwin Ltd., 1953. 8vo (8 1/2 x 5 1/2 inches; 218 x 140mm.). 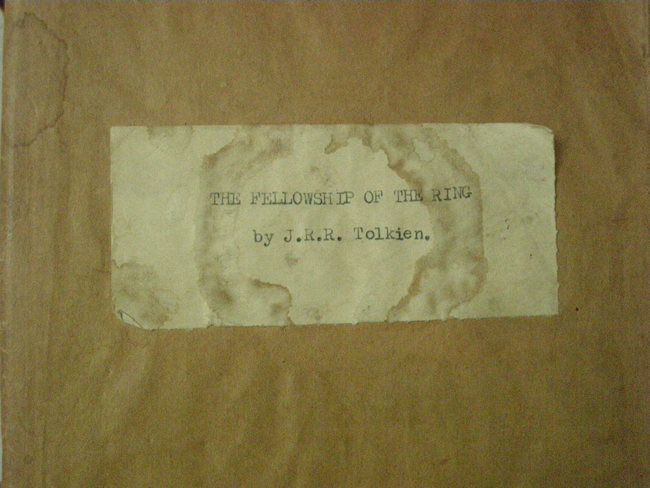 Brown paper wrappers over paper cover, white paper label applied to paper wrapper with typed title "The Fellowship of the Ring / by J.R.R. 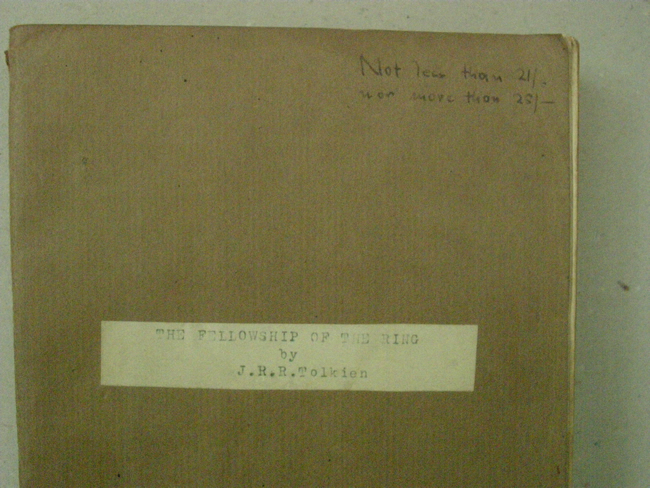 Tolkien", with paper label to front paper cover with typed title "The Fellowship of the Ring / by / J.R.R. 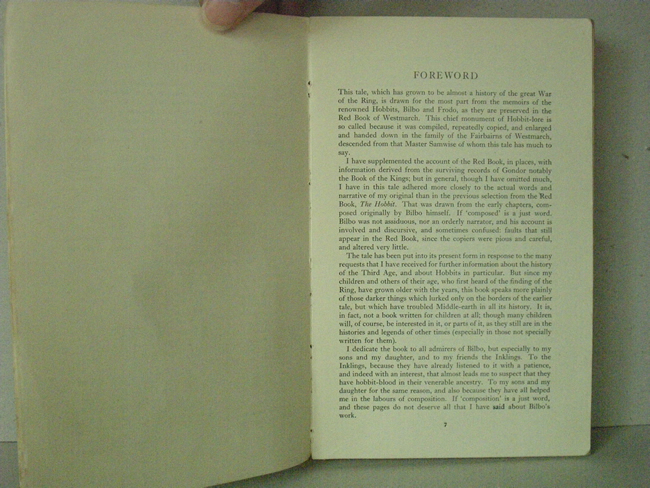 Tolkien" with manuscript note at top of front cover "Not less than 21/- / nor more than 25/-"
These page-proofs are in their earliest state, with the title page before the borders were added, and pp.16 and 21 incorrectly numbered (corrected in pencil), and p.319 was not printed at all. On page 355, 363 the title misspells "Lothóiren. 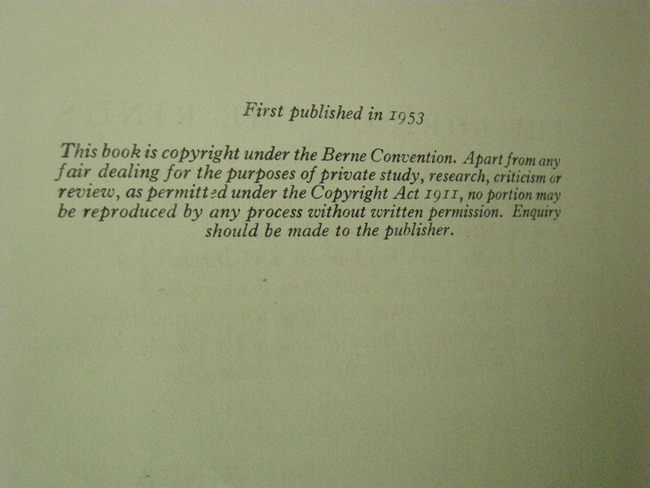 The illustrations which occur on pp.59, 319 and 333 of the first edition have been omitted. Here and there are binding symbols in the margin and printing numbers at the bottom of the pages, that are not present in later proof copies nor in the first printing. These are all aids for the binders in preparing the book for print. Examination of this copy will probably reveal many more misprints. Except for some aging of the protective paper wrapper this copy is very fine. There is a rip in page 225/226 and a tiny ink stain at the bottom of page 328 and 329. Further very fine copy of this unusual proof edition. 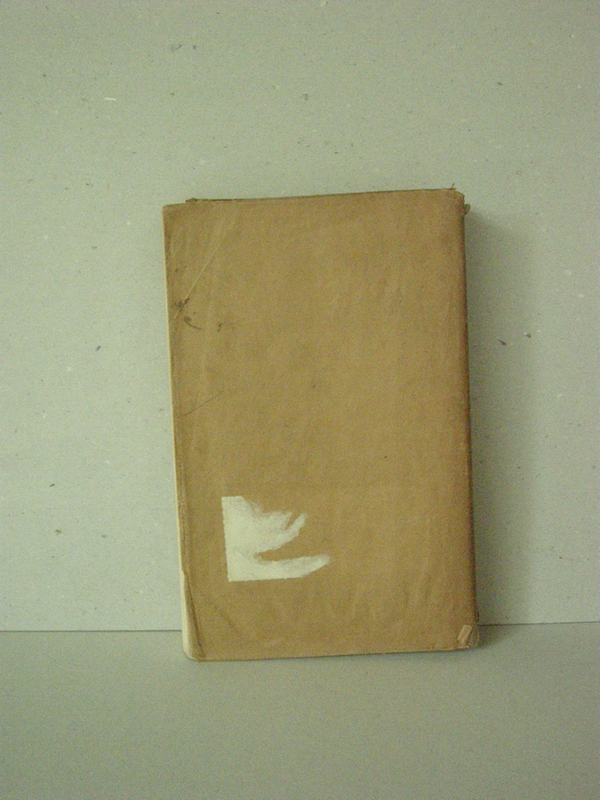 This proof copy can be dated September 1953 and is one of the 35 proof copies bound by Jarrold. 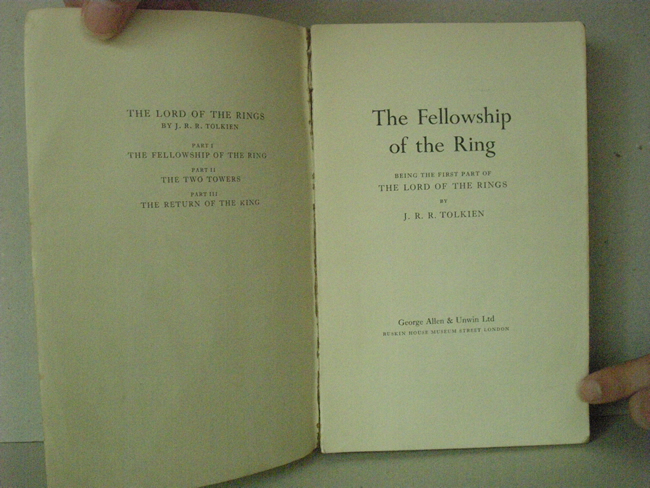 According to tolkienbooks.net the quoted figure of 35 copies is not certain. 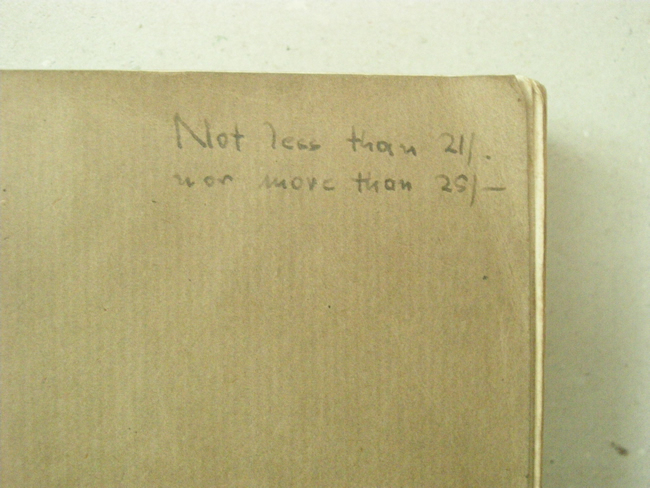 27 copies were returned to Jarrolds for perfection of a binding error on 28 September 1953. 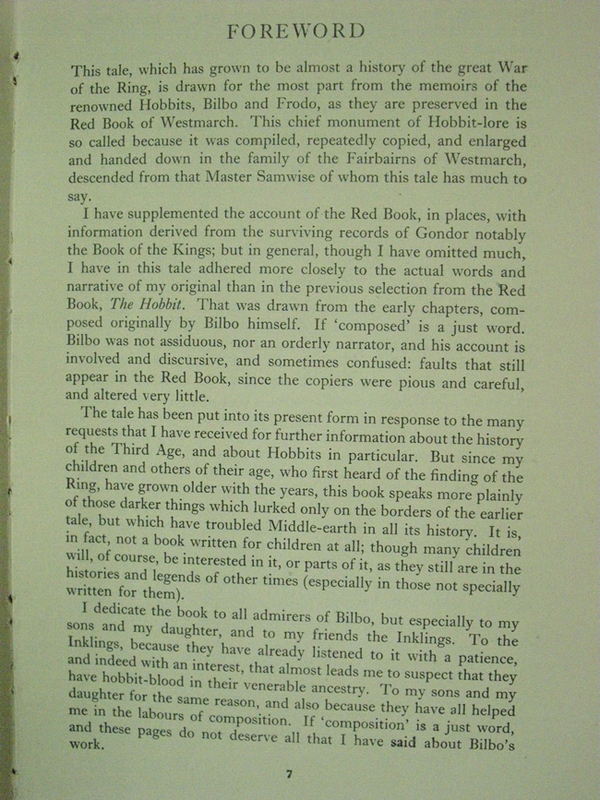 On the following day, one of the copies without the fault was sent to Tolkien. The figure of 35 has been assumed because that was the number produced for The Return of the King - publishers are creatures of habit! Hammond and Scull are uncertain of the exact number of proof copies created, although they note 'a good guess' would be between 20 and 24 copies. 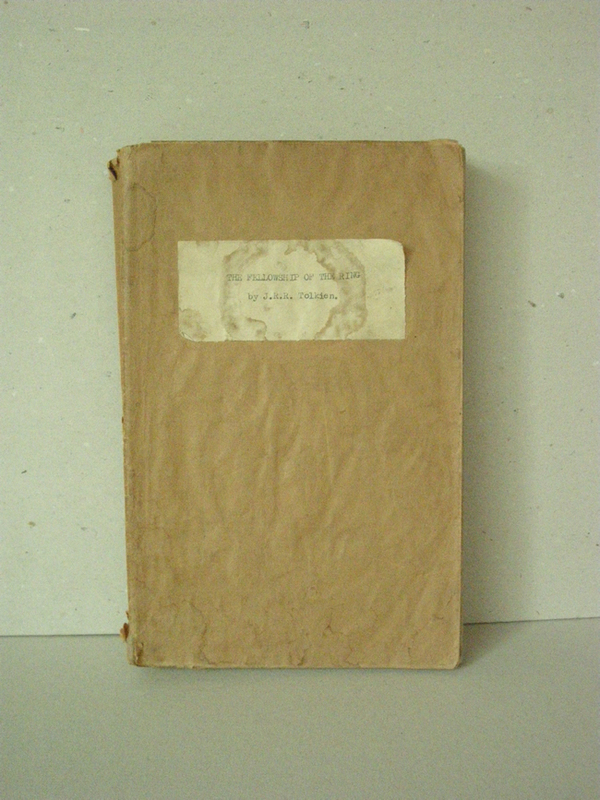 This compares with the 3,250 copies of the English first impression, first edition. This proof is one of the rarest Tolkien items of them all. In terms of importance, there are very few Tolkien books which could compare with this proof. 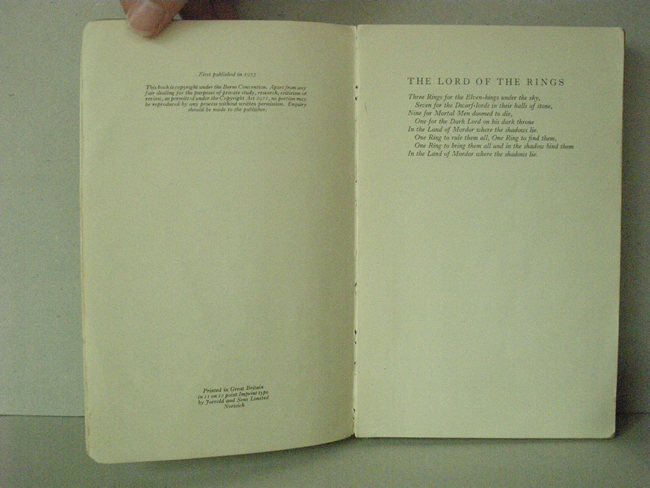 Allen and Unwin prepared a small number of these to help Tolkien with revisions while preparing to publish the First Edition of The Lord of the Rings. 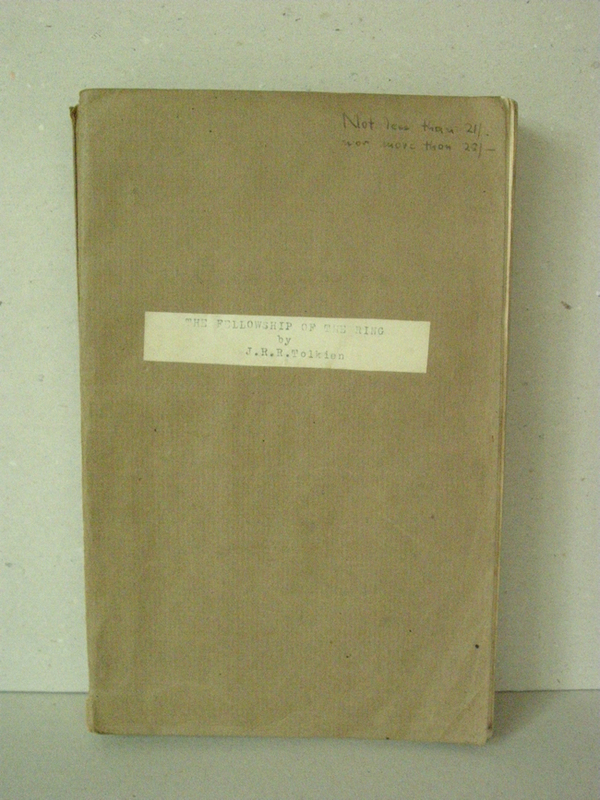 This is probably the earliest copy of The Fellowship of the Ring on the market and the rarest as well!